You can travel out of country while your H4 EAD application is pending with USCIS. The same rules apply for H4 EAD renewal form I-765 applications. In simple terms, I would advise to travel internationally like India, if someone in the USA (like husband or family) can receive the notices from USCIS and respond if required. In a normal scenario, you do not receive RFE or need to visit application support center for H4 EAD. But, if you do, you will have to come back to the USA. If you have filed H4 change of Status application along with H4 EAD, then the risk of travel is higher with restrictions. USCIS will abandon your H4 COS application immediately as you step out of US and will also deny your H4 EAD application. 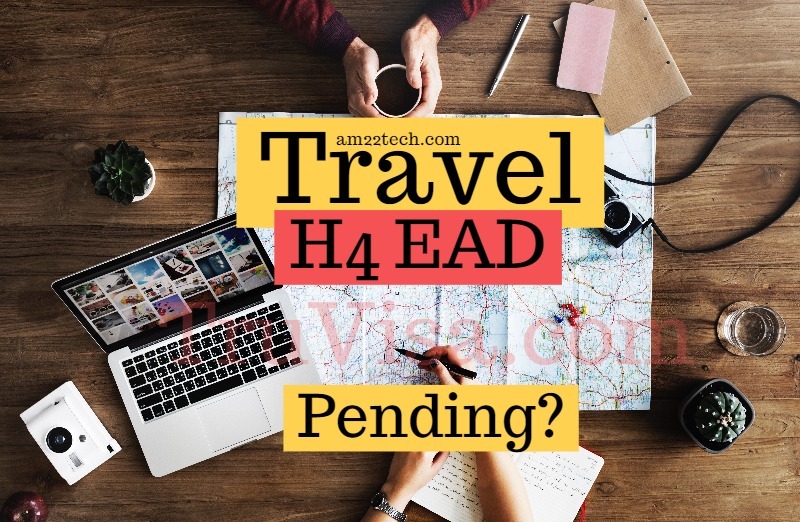 The better option is to wait for H4 COS approval and then you can travel while H4 EAD is pending. It does not matter if you are going to re-enter on H4 visa. The simple rule is that COS application is abandoned as soon as you leave USA. If you did travel outside USA while H4 COS was pending and now entered using your H4 visa, you should file a new H4 EAD application. The old H4 EAD application should be withdrawn if it is still pending. Even if you do not withdraw pending EAD application, it is eventually going to be denied by USCIS. You can travel outside USA to get faster H4 Visa stamp at US embassy and then re-enter US. Your pending H4 application should be withdrawn once you re-enter USA. Pending H4-EAD will most probably get an RFE to prove your H4 status. At the time of this RFE, you can submit your new H4 i94 and H4 visa stamp.